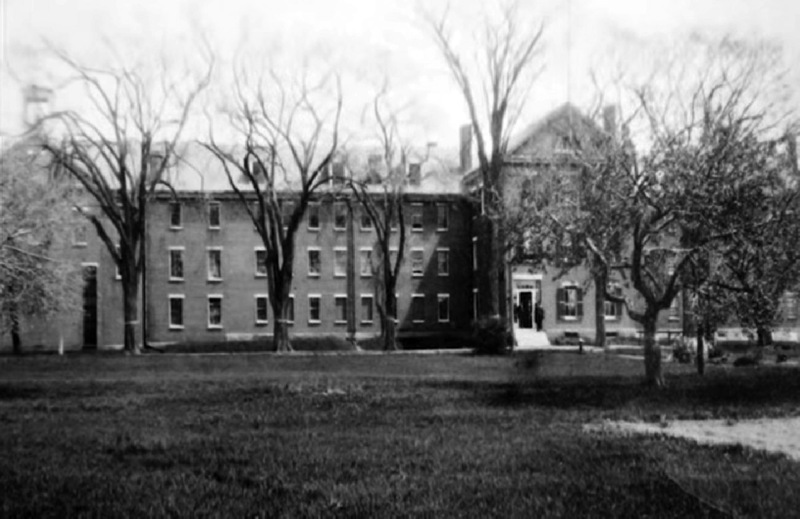 A large jail/insane asylum was built on the Green Street location in 1828. 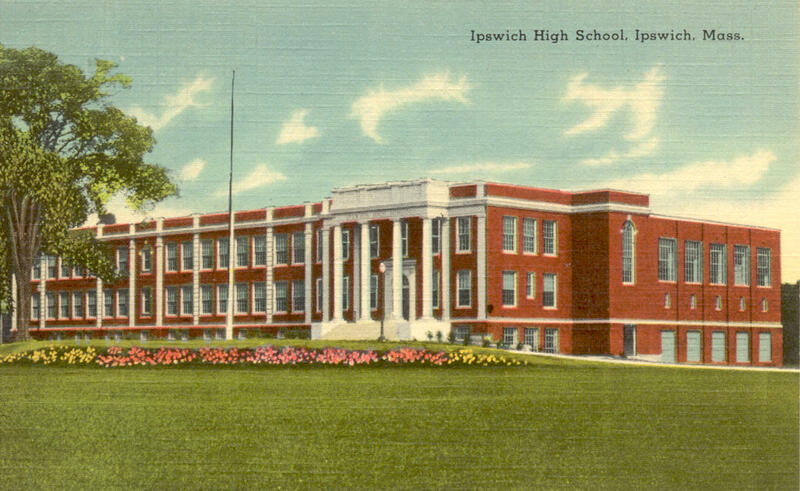 It was torn a century later to make room for a new high school. The building now serves as the Ipswich Town Hall. The prison workhouse still stands and was remodeled into a modern senior residence center known as Whipple Riverview Place. Jail on Green St., demolished in 1933-34 to build the high school building which is now the Ipswich Town Hall. “On December 22, the committee brought before an adjourned Town Meeting a plan for the removal of the main cell block in the former County Jail, now owned by the Town. This plan was approved and it was voted to do this work at an expenditure of not more than $3,400.00 and under the supervision of the Selectmen. Thirty men in two shifts of 15 each were employed in this work. This number was later increased by the Selectmen. On January 31 the work was finished. The committee have tried to be fair in their selection of men for the work. Ex-service men, citizens and men with families were chosen first. Priority of application was necessarily a factor. With the funds available 130 men were given part-time employment and both men and women put in touch with short time jobs. Not only have our activities relieved the unemployed to the extent stated above, but the work has been accomplished at a reasonable cost which was thoroughly worthwhile. After a long time and much debate by several committees a new high school was voted on, with federal funds (the Town voted $120,000 to be added to a federal government grant of $111,725.00). In 1936 the new High School on Green Street was occupied and classes started. Construction began in November 1935 with final completion on February 6, 1937 with a final cost of $229,000.00. At the time it was considered “a superior building” and the “pride of The Town.” Although bronze plaques were erected just inside the vestibule, few citizens know that this building was erected in memory of the veterans of World War I. In 2000, junior high students were moved to a brand new building, the new Middle/High School on High Street, and the property was turned back to the Board of Selectman. The building was renovated and became the Ipswich Town Hall.